Ironfire railings specializes in custom fabricated ironwork primarily for residential homes for both interior and exterior. 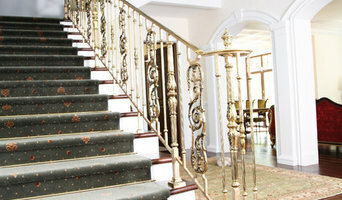 I also install wooden posts and handrail components for the interior staircase. Custom moldings related to the staircase area are included as well. 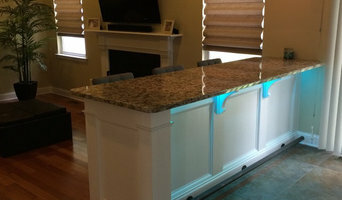 I can also design and fabricate specialty items such as furniture, bar, wine and fireplace components. My clients are more than just customers to me. They become friends and in many cases lasting relationships are formed. I perform a wide variety of metal work, from designing and making sculptures, furniture and decorative items for indoors and outdoors to making and installing railings, fences and gates. Working as a blacksmith also, I can produce a wide variety of shapes and repair old and damaged ironwork. We have been in business since 1979 and specialize in structural and miscellaneous steel projects. Our customers include schools, shopping centers, banks, restaurants, industrial parks, and housing developments, as well as private individuals. 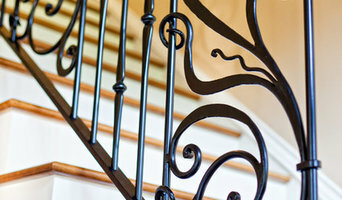 At A & R Iron Works in Trainer, PA, wrought iron railings are our specialty. They are all solidly constructed and visually appealing. Specialize in custom fabrication in steel, stainless steel and aluminum. I own and operate a high end design-build metal studio focussing on forged and fabricated metals for residential and commercial settings. Contemporary, and also works with varying degrees of historic influence. intelligent situational design executed with an elite level of craftsmanship, that is what we do, with a fine art influence. At Worth Iron Company, quality and customer service have been family traditions since 1950. Whether it's for your home or business, classic refurbishing or contemporary design, the safety, durability, and beauty of the custom ironwork we create to your exact specifications lasts a lifetime. Call us for your FREE estimate on interior and exterior designs, furniture, artwork, and more for your home and business, from artistic decor to security fencing, and absolutely everything in between. 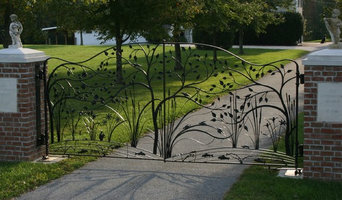 Find out why we are #1 in custom iron work in the Bucks County, Montgomery County, and Philadelphia areas! An ornamental ironworker fabricates bulk iron into the types of structures that a particular home calls for, then installs them onsite. Some of these pieces are mass produced, others custom crafted. Many ornamental ironworkers also have the design skills to fashion unique decorative components. Ironworkers must be trained in safety to create elements such as railings and balconies that both satisfy a home’s aesthetic needs and meet West Norriton, PA building codes. Here are some related professionals and vendors to complement the work of ironwork: Fencing & Gate Sales & Construction, Decks, Patios & Outdoor Enclosures, Siding & Exteriors. Find an ironworker on Houzz. 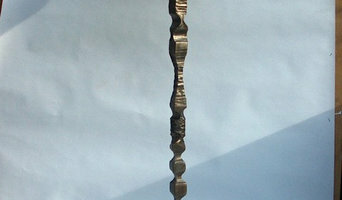 Narrow your search in the Professionals section of the website to West Norriton, PA ironwork. You can also look through West Norriton, PA photos to find examples of ironwork that you like, then contact the ironworker who fabricated them.